It felt great to take the splitboard out today for the first time up here in Wyoming. 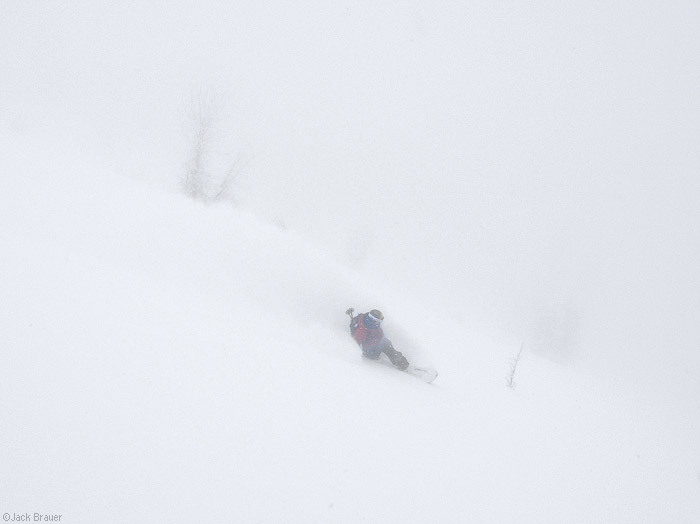 We were out for about 7 hours, putting in most of a skin track and then scoring a powdery 3,000-foot descent. Due to the limited visibility of the foggy snowy weather, and sketchy avy conditions (whumpf, whumpf), we took it pretty safe and easy on the way down. This zone has some serious shredding potential and I hope to return again during clearer weather and more solid snowpack conditions. Posted in Skiing/Snowboarding and tagged Tetons, Wyoming on December 16, 2009 May 19, 2013 by Jack Brauer. 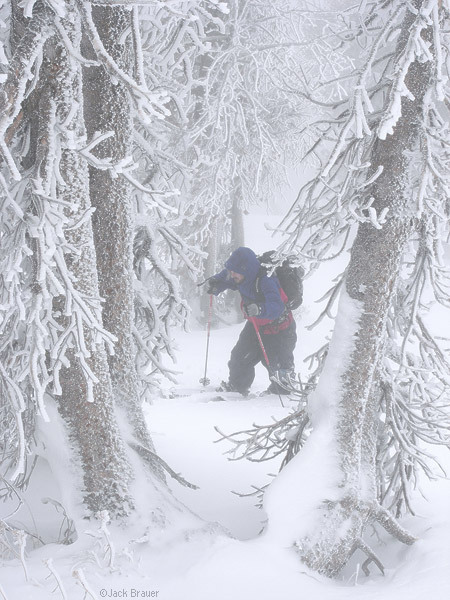 Wow…looks like you guys were in some pretty nasty conditions. But I’m sure it just feels good to get out. Nice shots. Are these with the E-620?